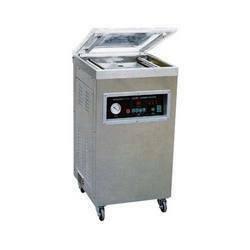 With our expertise in our domain, we are engaged in offering a wide range of Double Chamber Vacuum Packing Machine. 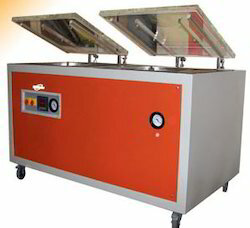 The Double Chamber Vacuum Packing Machine we offer provides double productivity. It is a microprocessor based controls system for accuracy four preset programs with fully stainless steel option. Horizontal Packaging Machine Sealing is one of our most demanded products that give high performance. These machines are widely used to wrap various products in diverse industries. In order to give high performance, this machine is operated with the help of a bearing roller. These easy-to-handle machines can be availed from us at reasonable price range. Owing to changing and developing needs of supporters, we are known for giving a substantial scope of Packing Sealing Machine. The Packing Sealing Machine offered by us is utilized as a part of different commercial enterprises for pressing applications. This Packing Sealing Machine expands the profit and has enduring. Baby / Lady/ Adult Diaper Manufacturing line.